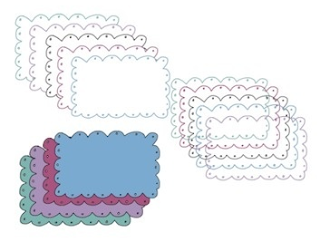 A collection of clip art borders to use in all of your creations! There are 3 sets of borders. All sets come in turquoise, pink, purple, blue, and black. If you have a color that you would like these to be in, please e-mail me and I'll edit it for you. These are saved as a PNG file and are zipped for your convenience! You may use these for personal or commercial use, but please cite either my store (http://www.teacherspayteachers.com/Store/Katie-Dang) or my name (Katie Dang). Thanks!